In the past decade, billboards and outdoor advertising have gone through a renaissance of sorts. While ad spending on other traditional media continues to decline, out-of-home (OOH) spend continues to see incremental growth. OOH isn’t just for billboards anymore. It’s how brands interact with consumers visually when they’re out of their house. From billboards and media placed in every location imaginable, to digital kiosks and displays at gas stations, sporting events and coffee shops along your daily commute, there is more OOH inventory than ever before. Today, the average consumer spends more than 70% of her time outside the home, and the demand for OOH and DOOH continues to accelerate, according to WARC Data. OOH is becoming a crucial channel for brands looking to connect people, especially younger consumers. The potential upside of DOOH has barely been realized. 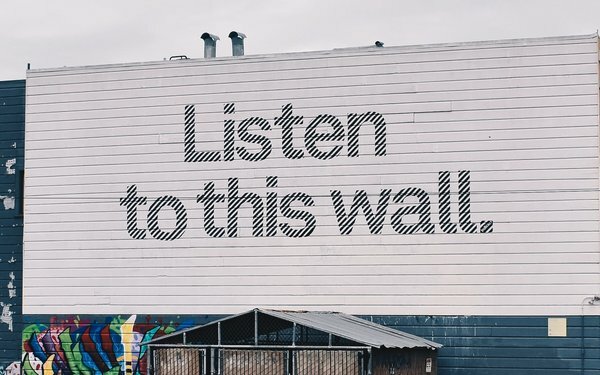 It may seem counterintuitive, but OOH is the preferred ad format among Gen Z, according to a recent global study by Kantar Millward Brown, with higher ratings than all other digital media (including display, search, desktop or mobile). Robinson believes OOH ads have a steadfast and evergreen quality that appeals to most younger consumers. In contrast to digital and mobile, OOH also doesn’t suffer from ad blockers or the intense competition for consumer attention we see online. Case in point: more than half of millennials actively block ads or unsolicited marketing content. Among Gen Z, the percentage is even higher. With increasing pressure for CMOs to improve the ROI of local campaigns, OOH is becoming a more important part of the media mix. Smart brands are leveraging a mix of both OOH and DOOH to creatively push contextual content to specific audiences, and complement mobile ad campaigns. Using geolocation and mobile data, brands can also see exactly when, where and how often consumers are exposed to OOH ads, as well as how creative is performing at specific locations, times of day, and myriad of other factors. “In essence, brands can now utilize the same level of audience targeting data they applied to digital campaigns to media in the physical world, to understand the customer journey,” Robinson notes. When OOH and DOOH are paired with mobile, brands often experience significant digital search increases. Consumers are also 48% more likely to click on a mobile ad after being exposed to the same ad via OOH or DOOH first, according to research from Ocean Neuroscience. “Through improvements in measurement and attribution, OOH is simply becoming smarter and more useful,” says Nelson. “We’ve had tremendous success with OOH throughout the years, including our most recent Steamy Soup board. As advances in measurement, automation, and accurate audience targeting increase, so too, will OOH’s importance in the media mix. All of these are reasons Robinson thinks OOH could double its share of marketing spend by 2025.